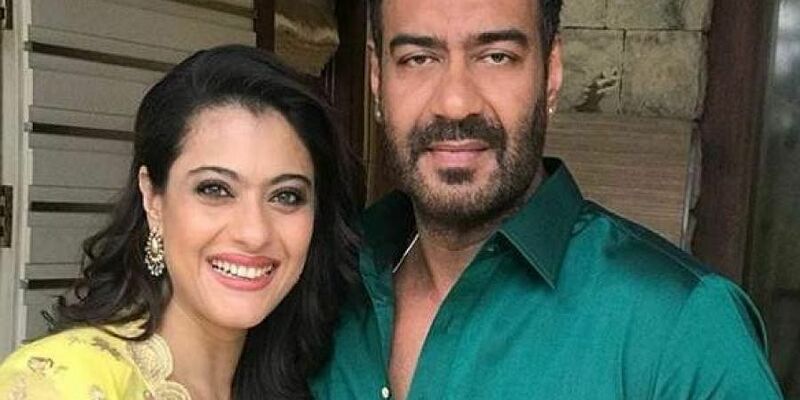 Bollywood actor Ajay Devgn on Monday, "accidentally" tweeted wife Kajol's phone number. The tweet went viral and users on the site had a field day. Basically, the prank started when the actor tweeted that Kajol is not in the country and if anybody wants to co-ordinate with her, they need to contact the number. 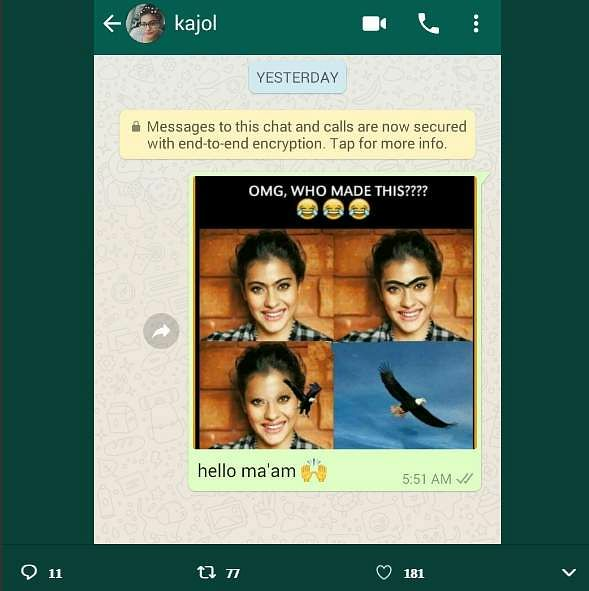 While it's clear that the contact shared does not belong to Kajol, we can't help but appreciate the efforts Ajay took in actually getting the display picture of the fake number changed and putting a deep literature qoute in the status, making it all look so believable. Ajay finally took to Twitter to clarify on what actually happened. Twitterati, aware of his personality shared the concern that the Actor's account might be hacked. Within hours, Ajay posted this explanatory tweet tagging Kajol and adding ROFL emoji: "Pranks on film set are so passe so tried pulling one on you guys here". It seems like the actor does have a amusing bone in his body after all! Kajol is preoccupied with the promotional duties of her new film Helicopter Eela, which hits screens in October. Kajol will be playing the mother (Eela) of a teenage son, played by Riddhi Sen. It is no secret that Ajay is a prankster on film sets, but this time the actor managed to pull one on his fans.